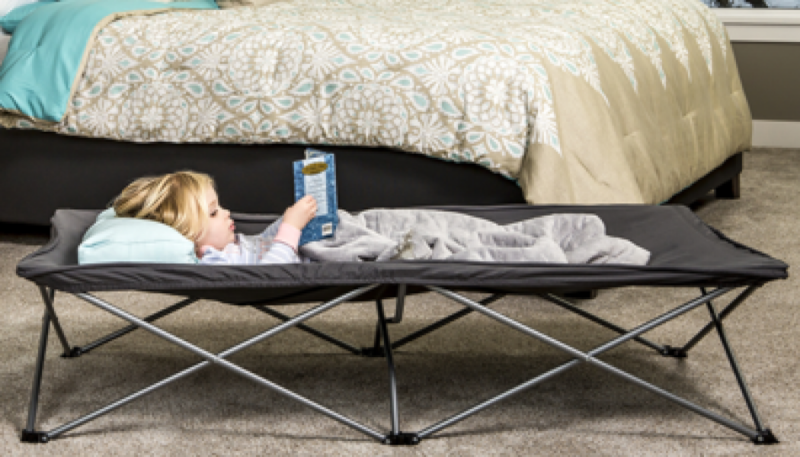 The Regalo My Cot Portable Toddler Bed is perfect for my two-year-old when we are traveling or going to grandma's house. It comes in blue or pink and is under $25. It also folds up in less than a minute and can be stored in a closet without taking up any more space than a folding chair.